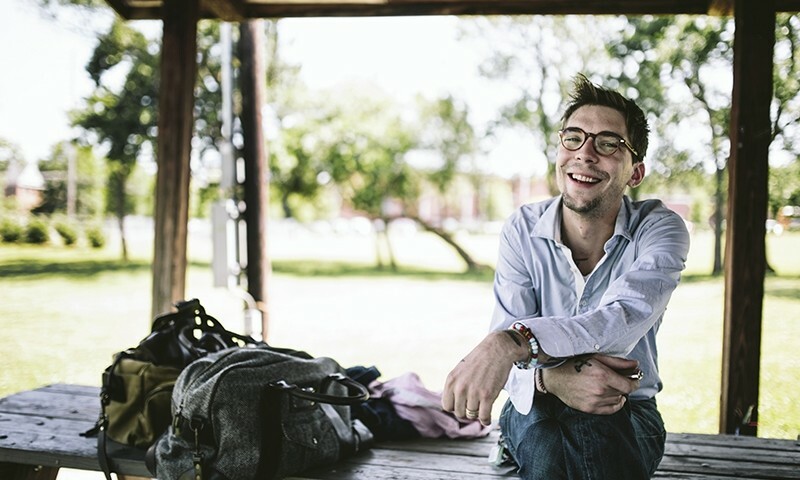 Justin Townes Earle had promised in an interview earlier in the week that there would be no fighting at his upcoming show. He swore those days were behind him and it would be a new him approaching the stage Sunday night. Regardless of promises, a rowdy crowd of middle-aged Utahans poured into The State Room that night in hopes of blues, sweet tunes and plenty of booze. Wandering around, you could see that they had the booze part down. You know the crowd is in good spirits when their talking hand (the one that swings while talking) is not impaired by the beverage in it. During parts of the evening, my soggy boots were wondering if these conversations would ever end. The collected liquids had me smelling like a bar mat at Hooters, but to my boots’ good fortune, American Aquarium walked out and saved the day. American Aquarium play like an opening band should, and I’m not saying that’s anything less than headliner. They set the tone, light the fires and get the fans in the mood for what’s coming next. This North Carolina band came out ready to play and instantly got the crowd’s attention with their less than subtle alt-country sound. Three songs into the set, my boots complain again about the jack-and-coke rainstorm but it was moot at this point. The merriment of the audience was secured with rapid frolicking, and the night finally starts to get interesting (well, more interesting than stories about your camper). American Aquarium did a fine job of performing and left the audience finely tuned for the main show. When just Justin Townes Earle comes out, he seems like he belongs back in the day with Johnny Cash and Merle Haggard—back when Waylon Jennings was being raided on stage by the DEA for cocaine. The spirit of this Tennessee fighting man was apparent and earned by years of hard living that almost traced back to his childhood. Earle was raised by his mother who worked three jobs in the urban parts of Tennessee. During these years, he developed a strong sense of self that still shows up in his music to this day. His new album is even titled, Single Mothers. Six albums and one hell of a backstory later, Mr. Earle takes the stage in Utah again. “Hello everyone,” states the claw hammer guitarist, and his new band jumps right into it. Justin Townes Earle performs like it’s the most natural thing in the world. Few bands seem this comfortable on stage and this is even more apparent with Earle’s between song banter. He shares stories of his obscure life with a whimsy earned by surviving it. He smiles at himself as much as he does the audience. His band meets him at just the right points, adding an organic flare brought about the type of harmony that shows up when a band is really in sync. You see this in mature bands. The songs on stage establish an artistic depth separate from the recording studio and the pens that originally scribbled the notes down. The studio gave birth to the songs, but seeing them on stage was like watching them ride a bike for the first time. It was a pleasure to see how far Justin Townes Earle had come as a band, and their Utah fans were more than appreciative. Looking around, the audience resembled a high school prom and no longer looked like the rowdy bar crowd I was squeezing through earlier. Heads rocked on shoulders and hips swayed like there wasn’t a problem in the world. My fiancé leaned over and said, “I feel so relaxed right now.” Mr. Earle was correct—no fights were going to break out tonight. 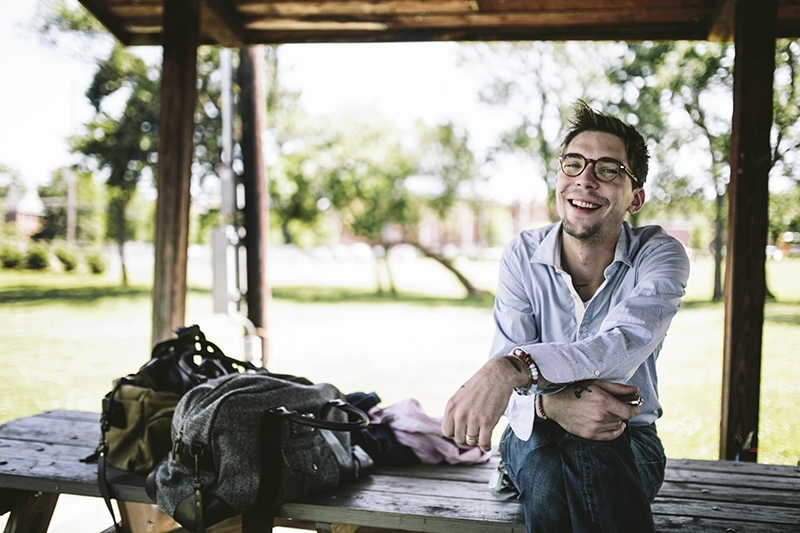 Toward the end of the show, Justin Townes Earle leaned more on their new material. They played the Billie Holiday tribute “White Gardenias,” along with “Wanna Be A Stranger” and tour favorite, “Today And A Lonely Night.” The latter, Earle spoke about in an interview and said, “‘Today and the Lonely Night’ has become one of my favorites to play. It’s just become beautiful, absolutely beautiful.” They closed out the night with Fleetwood Mac’s “Dreams” and the crowd cheered loudly, approving their choice of covers. Mr. Earle wished everyone in Utah a good night and made his exit. The audience filtered out slowly’ enjoying the haze of the evening. Couples snuggled and a few bromances high fived. The State Room, once again, pulled off an incredible night, adding comfort to the soothing atmosphere. So from all of us at SLUG magazine, thank you Justin Townes Earle for having us out to your show to see your new band. It was beyond a pleasure and deeply appreciated.